“Who By Fire” is a song based on a prayer recited on the Jewish Day of Atonement. That prayer in itself has an interesting background. The popular story is that Rabbi Amnun urged by the rulers of Myencae to change his faith, asked to be given three days to consider. When he failed to appear after the three days he was sought out and arrested. Forced to plead guilty his hands and feet were cut off as a punishment. On the new year, Rabbi Amnun was brought to the synagogue at his own request and recited the prayer-poem, ‘Let Us Tell’. Having recited it, he died. Leonard writes in layers of meaning. The very nature of poetry means that many of those layers are personal to the reader, not just the poet. We each see what we see. And we also look through each others eyes. 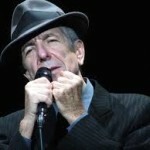 Leonard makes use of an ancient tradition within Judaism, known as Midrash – literally, “stories” quite often. This is an expansion on the words within the sacred writings, and liturgy. It is a tradition that brings mere words to a personal level. It explains the unexplainable.